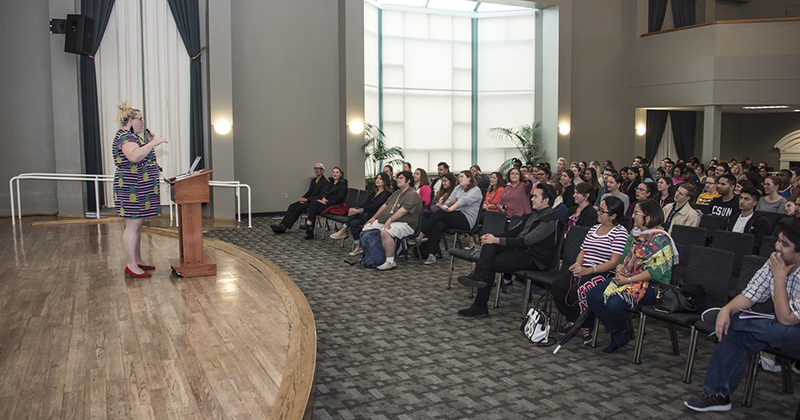 Not many people are confident enough to get up in front of a crowd and share a story about peeing their pants as a kid, but that is exactly what author and feminist Lindy West did during an afternoon lecture on Nov. 2 in the Grand Salon of the University Student Union (USU) at California State University, Northridge. The New York Times columnist, whose work has appeared in Huffington Post, The Guardian and GQ, among others, told stories of resilience, embarrassment, fear and politics from her 2016 book, Shrill, as a way to emphasize the importance of self-narrative and storytelling. 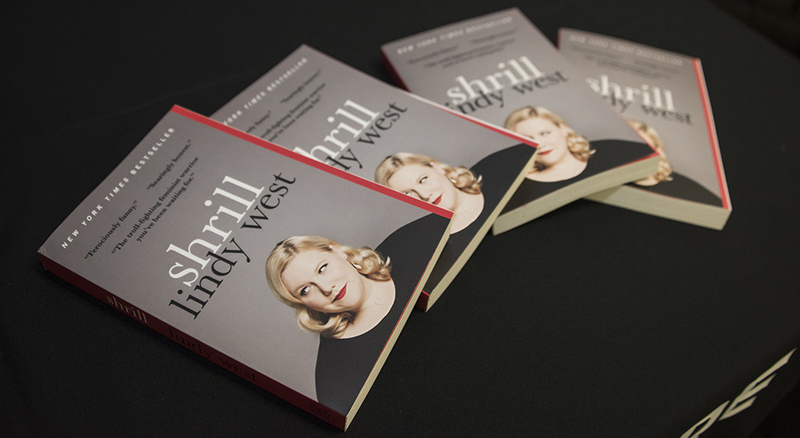 West kicked off her lecture with a reading from the chapter, “How to Stop Being Shy in Eighteen Easy Steps,” from Shrill. The chapter highlights 18 embarrassing moments in her life, including the time she peed her pants in elementary school because she was too scared to ask the teacher if she could go to the bathroom, the week she ignored her landlord’s phone calls — only to emerge naked from the shower one day to find building appraisers in her apartment — and a music festival incident where she tipped a picnic table over on herself in the press section. West is not shy about expressing how “terrified” she is about the state of politics or the changing coverage of facts that she sees in the media every day. She cited examples such as the lack of mention of the Jewish people in the White House’s 2017 Holocaust Remembrance Day statement and the comment President Trump made implying that abolitionist Frederick Douglass was still alive. West encouraged the more than 100 students, faculty and staff in attendance to continue to create, write and produce art. It is just as important to write “frivolous things to make us laugh” and fiction, which can sometimes tell the truth better than a personal narrative, as it is to write about politics, she said. After West’s lecture, attendees lined up to ask her questions that ranged from how to protect yourself emotionally from internet trolls to how to address family members on Facebook. “I’m just muddling through this as much as everyone else,” she said. The CSUN Campus Store also sold copies of West’s book, and students and other attendees posed for photos and had their books signed by the author. The event was sponsored by the USU, the Women’s Research and Resource Center, Department of Gender and Women’s Studies, Department of Research and Graduate Studies, Department of Journalism, Department of Communication Studies, College of Humanities, and students organizations the F-Word (formerly the Gender and Women’s Studies Student Association) and Joint Advocates on Disordered Eating.